Allen Perl, founder and managing partner, is a seasoned litigator and sophisticated negotiator. Since 1985, his practice has focused on commercial litigation, divorce and real estate issues. While much has changed in the law over the past 30 years, one thing has remained constant: to win in litigation, you must be thoroughly prepared, as well as dedicated to your clients. 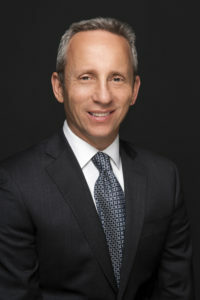 With extensive personal and legal experience in real estate and business, Allen has built a practice that can represent clients in any issue that may arise in their lifetime, ranging from family law, to business disputes, to real estate closings (personal or commercial). Allen’s experiences and skills allow him to represent sophisticated and high profile clients in complex litigation as well as those who may not have much experience dealing with transactional issues, including buying and selling of real estate, business evaluations, or contracts. A zealous advocate, he works tirelessly to obtain the best results for clients in all aspects of their lives, always keeping the interests of the client as his first priority.